A cataract is a cloudy and dense film that forms in the lens of the eye. A cataract begins when proteins in the eye grow together closely that prevent the lens from sending clear images to the retina. The retina works by converting the light that comes through the lens into signals. It sends the signals to the optic nerve, which carries them to the brain. Thus in the case of cataract, the image we see is blurred. Let’s start by stating that not all Cataract requires surgery. If a cataract is causing nearsightedness in a patient or a change in an individual’s prescription, new prescription eyeglasses can help improve blurred vision. But till date, no medication or eye drop has been proven to prevent or reverse cataract formation. The only treatment for a cataract, however, is the surgical removal of the natural lens. A cataract need not be removed just because it is present. Many people with cataracts that do not suffer blurred vision, interfere with activities of daily living, or otherwise prevent them from leading active and productive lives. In such cases, these people should not undergo unnecessary surgery to remove their cataracts. In case, if an individual is suffering from a blurred vision that is making it difficult to read print or read signs, has disabling glare while driving at night; or has difficulty engaging in hobbies that require looking at tiny objects or spaces such as knitting, or card games, it is time to consider cataract surgery. Bottom line, if an individual has a cataract and he is having blurred vision that makes it difficult to do anything he or she wants and needs to do. Then it is time to go for a cataract surgery. Otherwise, if the cataract is not disrupting your life then you can wait till the time it really starts to bother you. To make a rational decision you can go through the following questionnaire and decide whether you need surgery or not. 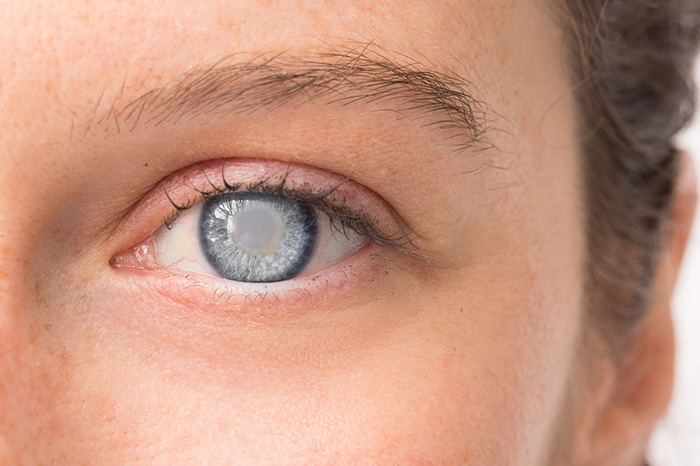 Are your cataracts impacting your daily or occupational activities? Symptoms of cataracts include blurry or dim vision. The lack of clarity contrast and can be problematic for those who need a clear vision for work. driving or who enjoy hobbies like reading, cooking or sewing. Are your cataracts affecting your ability to drive safely at night? Cataracts can cause halos around lights and difficulty seeing in low-light settings, impacting the ability to safely drive at night. Advanced cataracts can even cause enough vision loss to fail the vision test required for a driver’s license. Are your cataracts interfering with the outdoor activities you enjoy? Cataracts can also increase sensitivity to glare, which can be especially troublesome for those who enjoy skiing, surfing and a number of other outdoor activities. They can also cause visual differences from one eye to the other, which can affect the distance vision golfers need. Can you manage your cataracts in other ways? Those who decide to put off cataract surgery can make the most of their vision with a few simple tools, such as incorporating brighter lighting and contrasting colors in the home. Polarized sunglasses and a wide-brimmed hat can reduce glare, while magnifying lenses can make reading easier. If a patient is having cataracts in both eyes that require surgery, the surgeries are usually performed several weeks apart. Surgery on both the eyes at the same time can result in multiple complications. You can visit drishtieye.in located in Mulund, Mumbai and seek apointment regarding your question related to cataract surgery related to cataract and other eye realted problems.